Sew Can Do: Featured News! 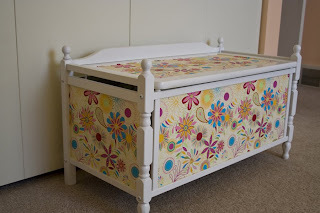 I'm proud to say a few of my latest projects, like my Toy Box Redo are featured on Poppies At Play's Creative Cats Tuesday today! Be sure to head over and check out this great blog. So many fab ideas and it's an honor to have some of mine included!! 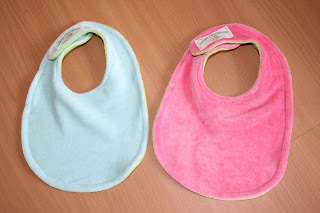 Also, I've added something new to my Etsy store that is my new personal fave - reversible, organic bamboo velour bibs. They are SO cuddly soft. 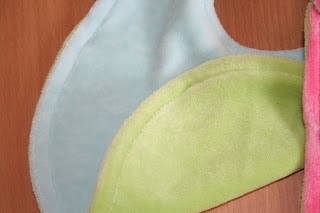 Both colors reverse to lime green, so there's a layer of ultra soft organic velour on each side. This fabric is great for absorbency and stain resistance (I use it in making my diapers too) & it feels just amazing. Stop by TheGreenHedgehog shop to check them out! I love your blog. We have similar ideas. I'm just starting on working towards being more green and learning new fun arts and crafts. Stop by and say hi. I can't wait to dig more into your blog. I'll be a follower for sure. Cute blog! Dropping by from sits. I bought the circles at walmart for $1.12 but any craft store such as michaels will have them. I got the chalkboard paint for $3.99 at michales too. THen for like $1 or $.96 I bought the hangers to hang them up. YOu just hammer the tiny nails the hangers come with to the circle and hang it on a wall. You can get the hangers at walmart too or even michaels or any craft store. It's super easy! !